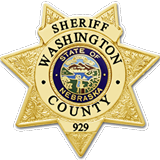 The mission of the Washington County Sheriff K-9 Unit is to maximize law enforcement efforts in the location of specific evidence while reducing man hours required in accomplishing an investigation. Watch the video below to learn a little more about how our canines are trained. Washington County Sheriff personnel and their canine partners work with OPD in similar training to be prepared and ready for service when needed.